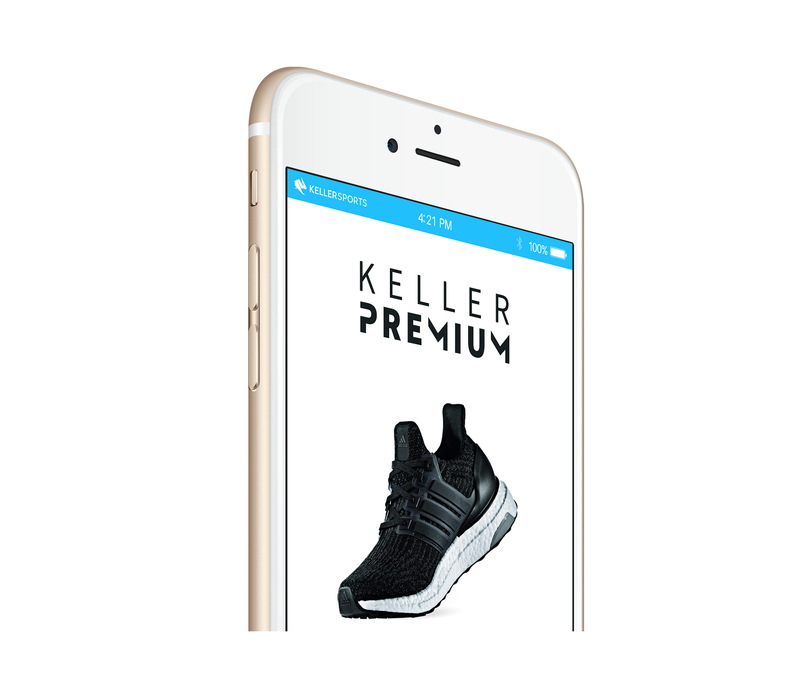 Keller Sports Pro Alica has been gradually developing a passion for trail running. 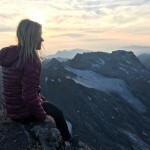 In this post, she tells you how she discovered this sport, what routes she recommends and what equipment she uses when she hits the trails. The cool thing about running is that you can do it pretty much anywhere at any time. The cool thing about trail running is that it’s so varied. If you get bored of seeing roads and streets, if your route just isn’t long enough anymore or you want to change your pace, give trail running a go. I never used to be passionate about trail running. Why not? Well, because I hadn’t tried it. My thoughts were “I’m not going to drive to the mountains just to go for a run when I can run right on my doorstep”. This way of thinking kept me running the same routes over and over again. I’ve always enjoyed running on forest paths because they’re gentler on the joints. Straight routes along the River Isar and past the Munich zoo were also something I liked a lot. 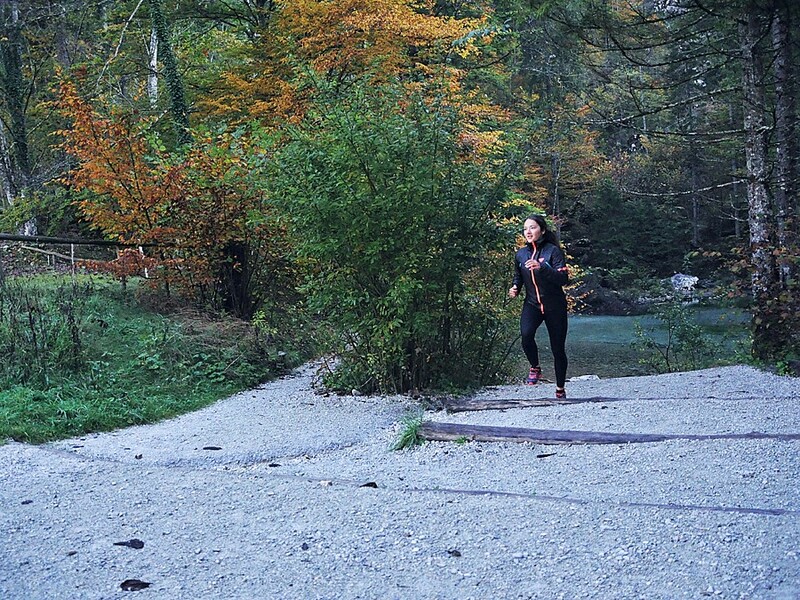 But then, when I started following the Munich Isar trails and doing the odd climb or discovering a secret path, I realised that running on uneven terrain had more to offer me. I slowly started seeing trail running from a completely new perspective that eventually led me to regular runs in the mountains and on forest trails. Dirt roads, uneven paths and varied surfaces, and the odd climb up a mountain, add an extra element of challenge to your run. These challenges push the body a little further each time and in different ways. A positive side effect of trail running is that it makes you more sure-footed and improves your cognitive skills, as it requires a certain amount of concentration to avoid falling. It’s really not hard to start trail running - you just have to find a trail and run on it. A good route I’ve found for trail running beginners around Munich takes you up Mt. Riederstein. 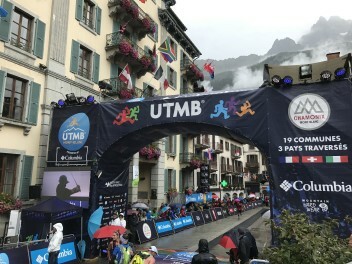 The route is perfect for ambitious trail newbies who are already quite experienced in uphill running. It’s not too long a route and it climbs 400 metres over 7.5 k until you reach the summit. Not too challenging, fast and easily accessible. If you want more of a challenge, try to reach the summit of the Baumgarten. This is a 750-metre climb up a more challenging trail. The route begins in Tegernsee and leads you past the Galaun mountain hut on Mt. Riederstein. Eager beginners can carry on running up the Baumgarten and back again. The start of the path is easy and quickly accessible. It’s at the Sonnleiten car park. If you’re travelling by train, catch the train from Munich to Tegernsee and continue on foot from there. If you’re in the car, drive straight to 16 Sonnleitenweg road and, on the left-hand side of the car park, you’ll see a narrow path going uphill. The route is well signposted from there. When I follow this path, I always veer left, following the signs for “Galaun Richtung Pfliegeleck”. The next part is a steep uphill climb on a muddy, slightly overgrown path. The good thing is that the path then gets a little wider and leads all the way to the Galaun mountain hut. It’s also not as steep uphill and there are even some downhill stretches for you to catch your breath before you reach the Galaun hut. After the hut, the path turns steeper again. It’ll lead you through a forest where you should follow signs for “Riederstein”. The crossroads will lead you to some naturally formed steps that bring you to the Riederstein chapel. If you run in wet weather, be careful where you put your feet. I only recommend taking this route if you’re armed with good running shoes designed for trail running. Trail shoes offer a much better grip on slippery tree roots and moss-covered rocks. 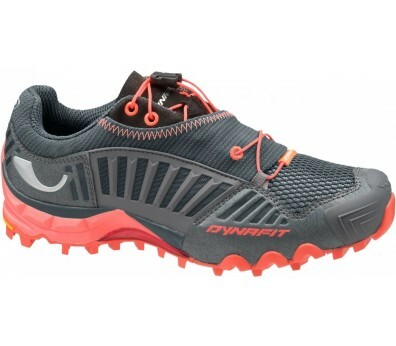 During my trail test, I tried out the Dynafit Feline SL running shoes. I was impressed with their great tread and slim fit, as well as the support I enjoyed on the slippery trails. The Riederstein chapel is a great place for a break and it gives you the chance to take in the views of the Tegernsee lake. If you still have energy and want to push yourself, turn back on yourself and the path back for around 100 metres. When you start seeing signs for “Baumgarten”, follow them. The cool thing about this route is that, if you feel like you’ve already pushed your limits and are done for the day, you can simply go back the way you came. Don’t force yourself to tackle the Baumgartenscheid today, you can just add it onto your training schedule for next time. The effort you put into climbing the Baumgartenscheid is definitely worth it, though. The route takes you along a ridge, through a forest, onto an easier stretch and then up to the summit, around 1,450 metres high. From here, you can enjoy some amazing views of the entire Tegernsee region. To get back down from the Baumgarten, follow the signs back towards Riederstein and take the path you used to come up. It’ll take you the exact same way back to the starting place at Sonnleiten car park. If you feel like switching it up a little, after you pass the Galaun mountain hut on the way down, follow the right-hand signs for “Tegernsee Schießstätte”. Once you reach the tarred road, keep to your left to get back to the Sonnleiten car park. You’ll pass the Schießstätte restaurant on your left and walk through a gate that leads up a mottled hillock. At the next crossing, turn right and back down the hill. From there, you’ll be able to see the Sonnleiten car park on your left. 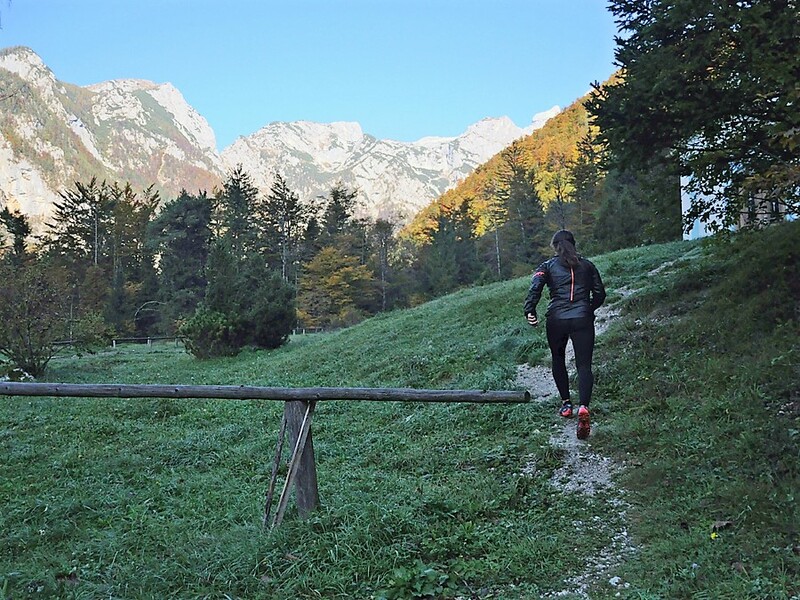 Apart from having the right running shoes, it’s especially important in autumn to wear the right clothes during a trail run. The weather in the mountains usually does what it feels like it and can turn quite suddenly. It’s precisely now, in autumn, that you need to be prepared for unpredictable weather. The Dynafit Shakedry Gore Tex jacket provides incredible protection against the wind and the rain. What I love the most about this jacket is that it’s ultra lightweight and very easy to store. During a trail run, it’s essential to avoid any unnecessary weight. But even if you start your run in good weather, there’s no guaranteeing that it’ll stay like that. When you’re up on a mountain summit, the weather can be quite different to lower down. Sudden rain showers and strong winds are very common up in the mountains. Apart from anything else, high-altitude running is tiring, sweaty work, which is a good thing, of course. But sweat and cold winds are a bad combination and wearing the wrong clothes can quickly lead you to freeze. Dynafit’s Shakedry trail running jacket is equipped with a Gore Tex membrane to prevent that from happening. This membrane won’t let any drops of water through into the jacket but it remains extremely breathable. For you, this means that perspiration coming from your body can escape. The jacket also protects you from the cold winds. I strongly recommend preparing well for any kind of weather, especially during the autumn season. Another big benefit of the Dynafit Shakedry jacket is that you can barely feel it on. And when you don’t need it, you just store it in its own hood and pack it away in your bag with ease. 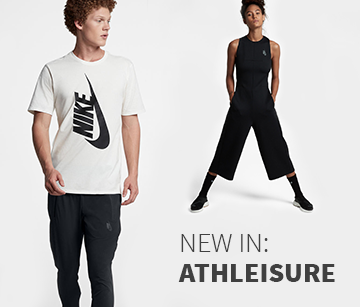 The garment’s low volume means that it can fit easily in a trail running rucksack. Alternatively, fasten the wrapped up jacket onto your hip and you’ll all but forget it’s there. Underarm ventilation slits encourage breathability within the jacket, while reflective elements improve your visibility in low light conditions. 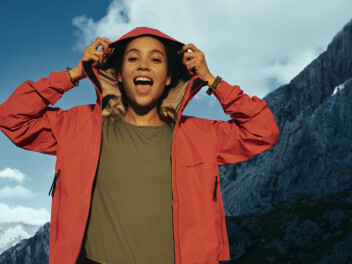 The jacket enables superb freedom of movement and comes in a longer design that reaches just past the hips, so the wind won’t blow up your back. Even the hood fits well and adjusts to your movements. One small drawback for me is the Dynafit Shakedry’s straight cut. I would have preferred it to be a little more woman-friendly, i.e. more fitted. The sleeves, on the other hand, a little too narrow at the cuffs, so it’s not easy to roll them up, but it’s something you get used to pretty quickly. In the end, the jacket was designed to shield you from the wind and the rain, so I suppose that rolling up your sleeves is a little counterproductive. I also would have loved for the jacket to be PFC-free but that’s unfortunately not the case at the moment. Trail running isn’t as difficult as you might think. Look for an easy hiking route and run on it. When you’re tired, walk for a while until you feel better, and then continue running. You’ll progress quickly and you’ll notice how you gradually find it easier to climb higher and higher. Believe me, the feeling of running an entire trail is incredibly good! 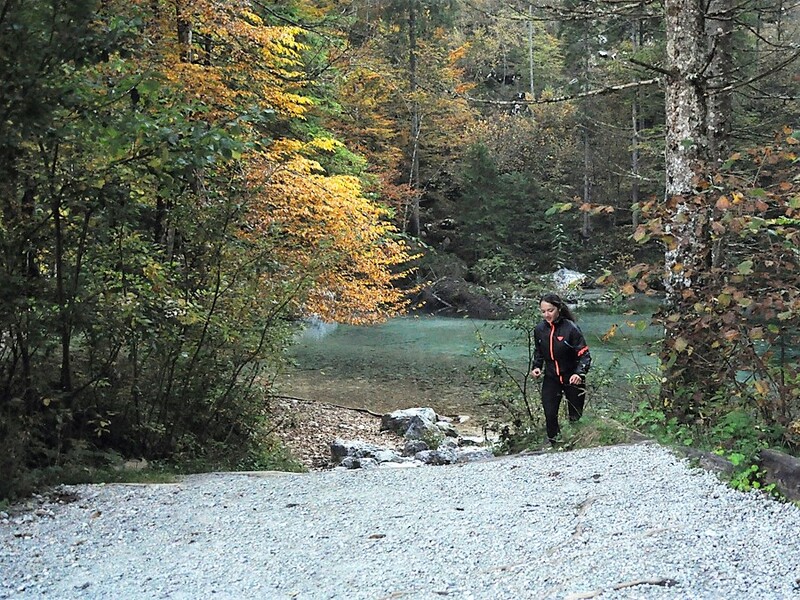 The Dynafit Shakedry Gore Tex jacket is essential for autumn trail runs. Its high functionality in the wind and the rain, its low weight and its breathable properties all make this jacket a must-have. Pair it up with grippy trail shoes and you’re prepared for any adventure that might come your way.